PNG is an image file that provides the lossless picture quality, and since it is lossless, the size of PNG files is usually too big to be placed as a website image or email attachment. JPG is an image file that provides smaller picture size, but with reduced quality of the original image. JPG is the standard format used on various websites, as well as the default picture format for most camera devices. The advantage of converting PNG to JPG is that you will get a smaller image size so that you will be able to save some space and publish it online. Morz Image Converter is a small and simple image converter software that allows you to convert your images to various formats. The software is embedded directly into the Windows Explorer. Once you’ve installed it, you simply choose the image that you want to convert by right-clicking the image and choose the option to convert it in the context menu. Free Image Converter allows you to convert and resize your photos with ease, so that you can save more files on your hard drive. You just need a few clicks to convert and resize your images into smaller size, which you can then upload to your website or send to your friends via email. 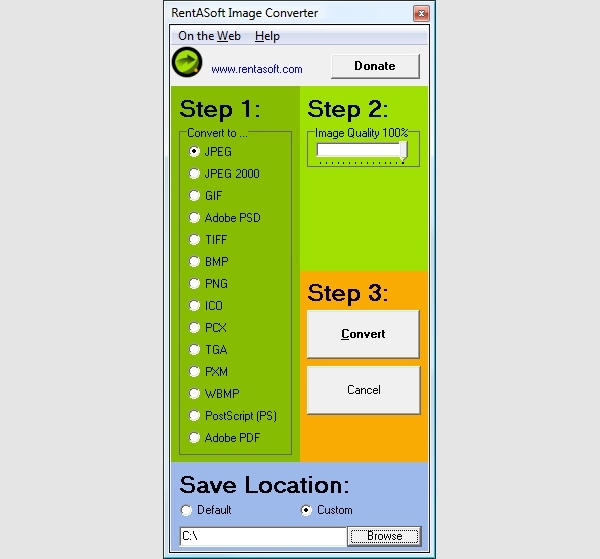 RentASoft Image Converter allows you to convert your large image files into different image formats of your choice. With an easy-to-use wizard, you can start converting multiple images at the same time. 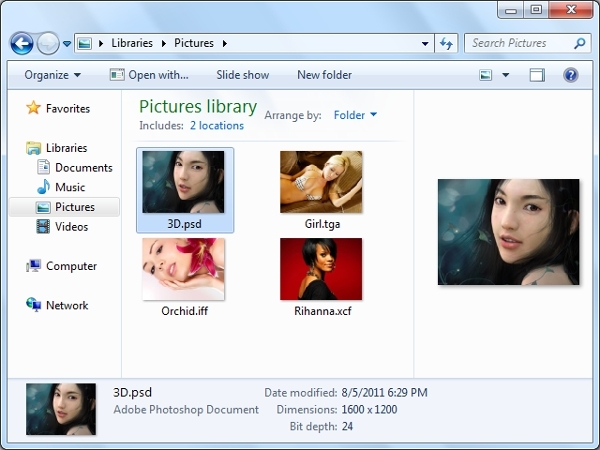 The software supports various image formats, such as PNG, JPG, GIF, PSD, and TIFF. 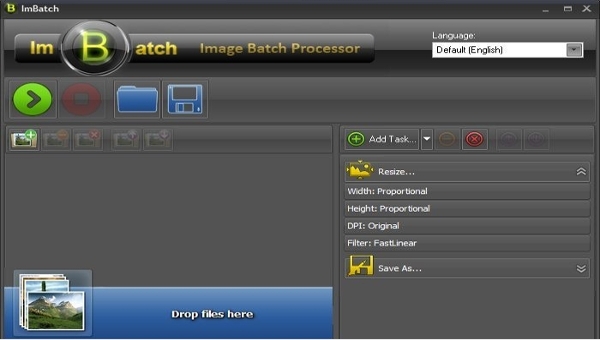 ImBatch is a powerful image processing tool that allows the users to perform complex image editing tasks, such as resize, convert, crop, and rotate multiple images at the same time. It supports various image editing features, such as flip, round corners, soft shadow, convert colors, add to PDF, shift time, watermark, and so on. SageThumbs is an open-source shell extension for Windows that enables you to view the thumbnail of your images in Windows Explorer. 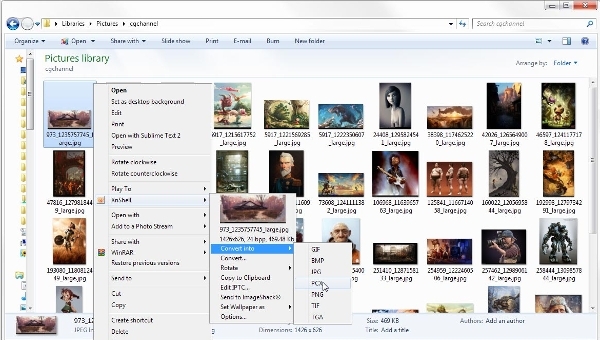 You just need to right-click your image in order to preview it in the Windows Explorer. It features extended thumbnail view, image preview, quick wallpaper setting, instant copying, and one-click image conversion. SendTo-Convert allows you to convert your image files via the context menu in a quick and easy way. It is a small application that allows you to perform the image conversion process just by right-clicking your chosen images or by performing a drag-and-drop operation. 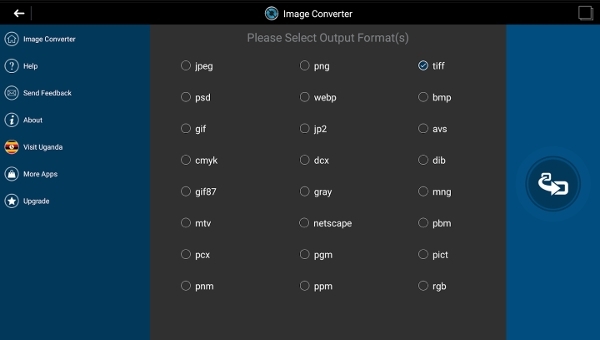 You can convert your images to various formats, including PNG, JPG, BMP, and GIF. XnShell provides a powerful shell extension for Windows, which allows you to preview your images in Windows Explorer, as well as perform various operations on them. You just need to right-click the image that you want to preview, and then you will be given a lot of menu options to choose, including copy to clipboard, image conversion, send to ImageShack, set as wallpaper, and rotate. 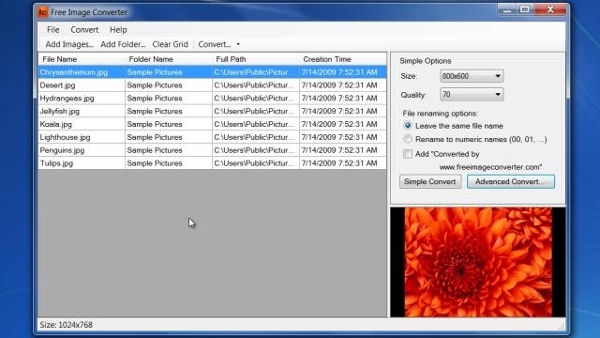 PixConverter allows you to easily convert your digital photos to be published online. It allows you to perform the image conversion process in just one simple step. The software offers various features, including watermarking, thumbnail page creator, image editor, image upload, conversion presets, and picture import. With this software, you can convert multiple images at the same time. Zamzar is an online image conversion tool that allows you to convert various image formats into different formats. You can convert TIFF to JPG, PNG to JPG, JPG to BMP, and so on. Since it is available as a web-based software, you don’t need to install anything in order to use it. You just need to visit the website and start converting your images right away. 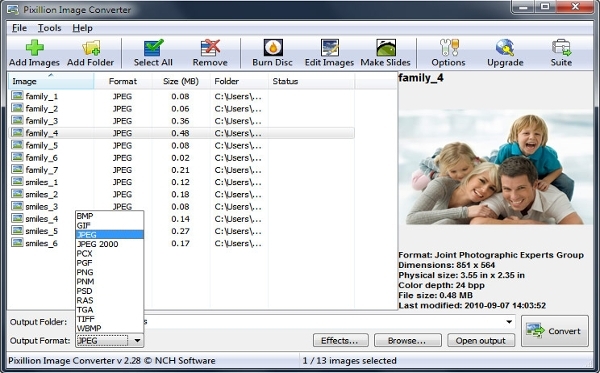 There is some image converter software that is available as a web application, but there is also some image converter software that is available only for specific platforms. For instance, it might be available only for Windows, or for Mac, without any cross-platform installation support. Pixillion is an image converter software available only for Windows, which allows you to convert images to various formats and compress images to reduce its file size. With this software, you can easily add captions and watermarks into your images. It supports various image formats, and you can see the preview of output images before launching the conversion process. This software offers various simple image editing tools for your images and digital photos. It features picture editing, export and import function, workflow management, image conversion, and picture organization. This software is best to be used by people who don’t want to use an extensive image editing program, yet want to use a simple but powerful image editing functionalities. This little Android app can help you to convert your images into various available image formats with ease. It features multiple file processing, image resizing, image cropping, image rotation, and save as multiple formats. With an easy file browser interface, you can find and convert your images easily without having to manually search for them on your device. 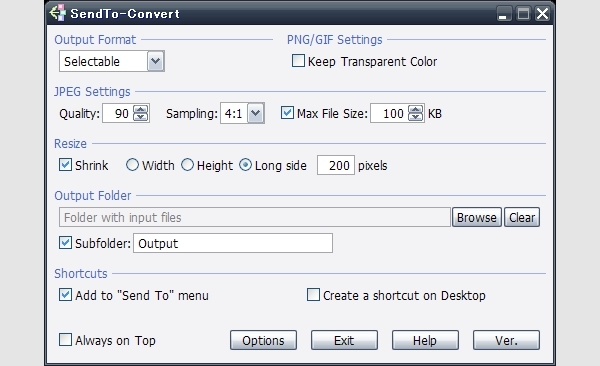 Converseen is a batch image conversion tool that is available for Linux platforms. It allows you to convert multiple images at the same time, and schedule batch operations for your image conversion. Aside from doing the conversion operations, it also offers resize, rotate, and flip functionalities for your images. The software is also available for Windows. 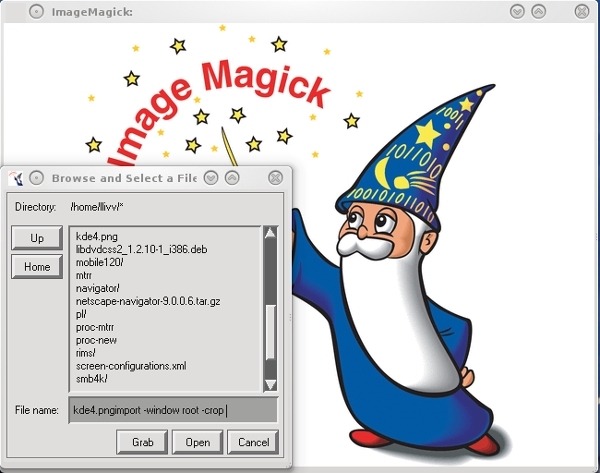 ImageMagick is an image converter software that allows you to edit and convert bitmap images. It supports over 200 image formats, with the capability to perform various image editing tasks. The software offers various features, such as animation, color management, command-line processing, complex text layout, draw, decorate, and format conversion. 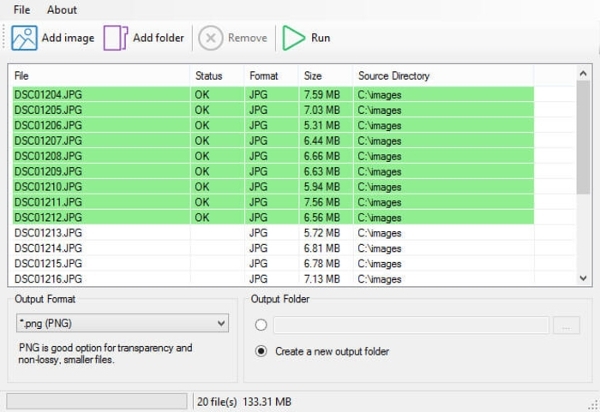 What is PNG to JPG Converter? 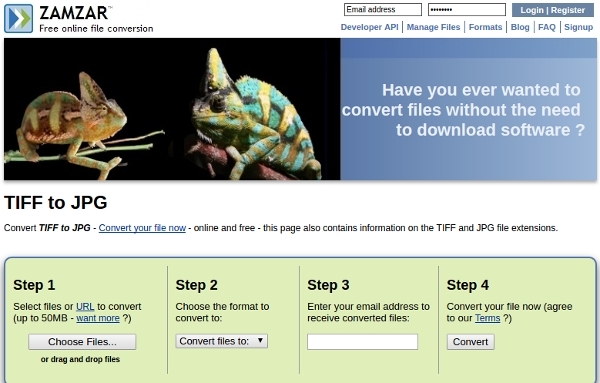 PNG to JPG Converter is a software that allows you to convert images to PNG format into JPG format. By converting your images from PNG to JPG formats, you will have a smaller image size, which allows you to upload it to your website and send it as an email attachment. Usually, a PNG to JPG converter software is also capable of converting images to various other formats, such as BMP, TIFF, GIF, and so on. 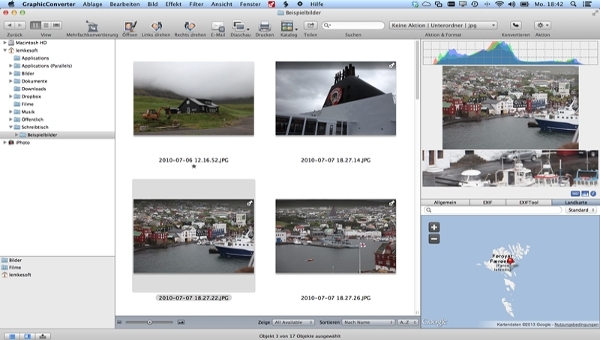 The converter may also offer other image editing features, such as color management, flip, rotate, watermark, and more. Since PNG is a lossless format which usually has a big image file size, you can save some space by converting your PNG images in JPG format. How to Install PNG to JPG Converter? If the software is web-based, you don’t need to install it on your computer. You simply need to visit the website and start the conversion process online. If the software only provides shell extension, you also don’t need to install the software. You simply download the software file and start using it by right-clicking the images that you want to convert. But, if the software is available as a full software suite, you need to install it based on the platform that you use. If you use Windows, you should only download and install the Windows-compatible image converter software. Keeping too many lossless image files may fill up your hard drive very quickly, and uploading the lossless PNG format to your website will only eat your bandwidth in a short period. That’s why you need to reduce the file size of your image so that you can keep your hard drive space and save your bandwidth usage. Moreover, by converting your images from PNG to JPG, you can store more images on your hard drive. Whereas the quality of the JPG images is less than the original PNG images, you can still keep the image quality by choosing to convert it into a JPEG lossless format. It may create a bigger file output, but the quality is better than the regular JPG format.